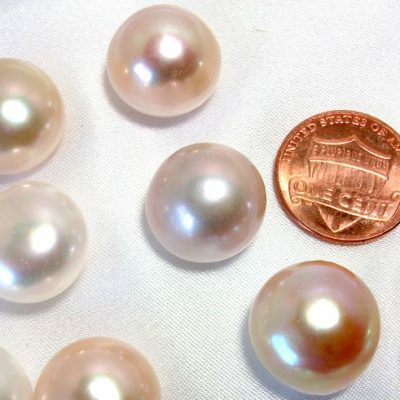 Drilled in larger 2.5mm holes, these baroque pearls are huge in size and with very nice high luster, uniform shape and great quality as you can see from the picture. They are about 15mm by 20mm measured at their longest dimensions. 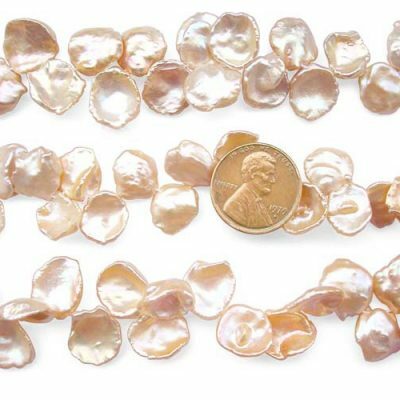 There are approximately 16 pearls on each strand. The pearls are fully drilled. 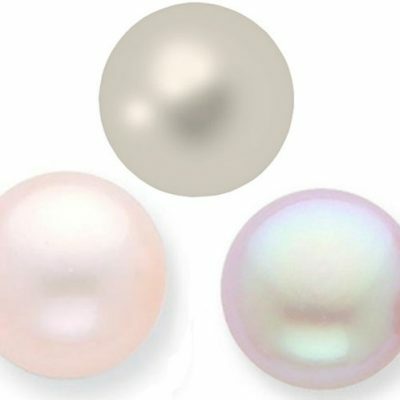 As the picture shows, the pearls have a mostly smooth surface, and only a few have slight color differences. 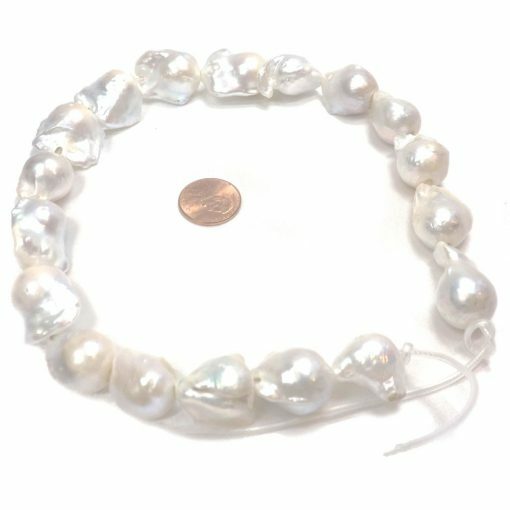 For people who love uniquely shaped pearls, these are the best value for your money since these pearls are all real and come with nice luster. These are great to use for a strand, or individually. That is what most of our jewelry designers do by taking out each pearl, wiring it or framing it in a setting for a pearl pendant, ring or earrings and get a much higher profit by selling the pearls as individual custom made pieces of high-end jewelry. However, only white colored pearls available with limited quantities.